Fortnight on the Internets is starting The New Coke Movement! On this episode, we discuss the new Apple products and the internet content they spawned; we explore an amazing new website with thousands of musical genres; and we delight in the music of Springtime Carnivore. Apple watches, great books and a cleverly cruel prank. Apple is coming out with two new iPhones and the Apple Watch. As usual, it has the whole world in a tizzy. They gave away a U2 album that nobody wanted. 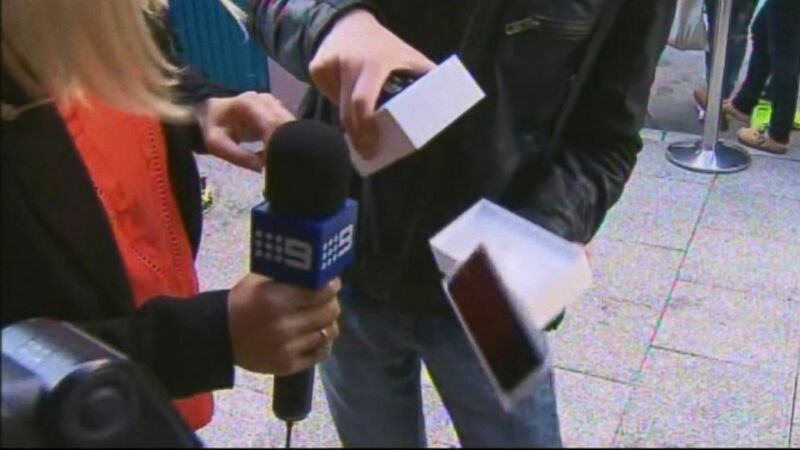 Some poor soul in Perth, Australia dropped his brand new iPhone after camping out all night to buy it. And the scamps at 4Chan came up with another dastardly hoax to trick people into putting their iPhones in the microwave to charge in minutes catch on fire and be forever destroyed. This meme where you post “the 10 books that most stuck with you” went mega vi on Facebook, and the number crunchers/privacy invaders over there came out with some pretty sweet data roundups and visualizations. The resulting list of 100 Top Stickwitu Books is actually quite respectable! A clever fellow played a masterful prank on his roommate by creating a Facebook ad campaign that only the roommate could see — and then placing ads that were disturbingly specific. It worked brilliantly. 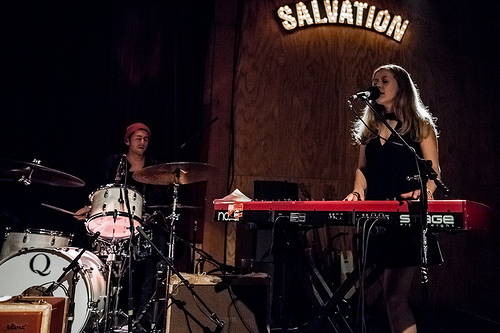 Like the Springtime Carnivore Facebook page immediately for more info on the album release and upcoming tour dates. LA Likers — SC opens for Of Montreal on October 16th at The Mayan! Be there. Every Noise at Once — a deep web of music genres that will blow your mind. For an overview, check out this great article from The Daily Dot. For more incredible music than you could ever imagine, dive right in. Part 2: Greg Bennett, mildly famous from a stint on Real Housewives of New Jersey as Albie and Christopher Manzo’s “witty gay roommate“, tweeted out the police video. A “friend of a friend” then sent him a photo of the group earlier that night at dinner, which he then posted to Twitter as well. Part 3: Reddit detectives and other intersleuths got to work trying to determine who these evil people are. Philly sports comedy Twitter fellow @FanSince09 shared the restaurant photo posted by Greg Bennett, and his many Philly-based followers tweeted back that the dining room is from La Viola, a nearby Italian restaurant. Part 4: @FanSince09 then used Facebook Graph Search to discover who checked in or posted photos from La Viola on the night in question, and lo and behold…a huge number of the perps did just that. He identified at least 3 of the people in question and sent the information to police. Part 6: From all reports, the suspects were then arrested after turning themselves in. They appeared to be Catholic Archbishop Wood High School classmates who were reuniting. One of them, an assistant basketball coach at Archbishop Wood, was fired by the diocese after his involvement in the attack was made public. They claimed self-defense, but witnesses said otherwise. Because, obviously fourteen people would not have to self-defend against two. The bottom line is still disturbing (anti-gay hate crimes are horrible, and Facebook Graph Search knows way too much about all of us) — but at least the Internet did some good in this instance! Y’all best be following us on Facebook. That’s where you’ll find all the great posts from Alpine, Alison, and amazing folks like Liker TJ, who found the Facebook Ad Prank item from the report card! #4. Liker Neil C. posted this video for the Ian Malcolm heads, in which Goldblum sings lyrics to the tune of the J Park theme. You won’t be able to get this out of your head, ever. #2. Liker C. Dave introduced us to our ICS, Every Noise at Once. A gift that keeps on giving. And the Liker of the Fortnight is Liker Nic S! He found the amazing 4Chan “iOS 8 Wave Charge” prank that caused some pitiable fools to destroy their expensive phones in the microwave. Only the latest contribution from this stalwart and true Liker! Thank you Liker Nic S! Thanks to Emily White for musical assistance.